Personal Real Estate Investor Magazine is hosting the Investor Provider Leadership Summit in Baltimore, MD April 25th-26th at the Sheraton Baltimore City Center Hotel, 101 W Fayette St, Baltimore MD 21201. 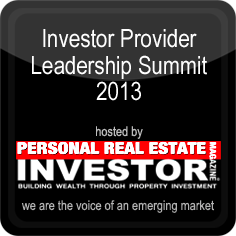 The Investor Provider Leadership Summit is next week April 25-26, 2013 in Baltimore, MD – don’t wait to register for this amazing event! Become familiar with strategies, service leaders, providers, and side channels that could increase your overall sales and revenue. The past event was very successful in producing hundreds of property sales to both domestic and international property investors. Facebook is still one of the top social media sites used today but these recent statistics are showing some unfavorable results for the company. A recent PEW poll found that 61% of Facebook users are taking more frequent breaks for a few weeks at a time on Facebook and all age groups are decreasing their overall time spent on the site. 38% of Facebook users ages 18-29 are planning on spending much less time on the site this year which is disheartening for them since this is the primary demographic that the majority of advertisements are geared to. 67% of adults that use the internet are Facebook users but that still doesn’t mean they are actively using this site. In fact, 1 in 5 adults said they were no longer using Facebook at all. 23% of users over the age of 50 have already decreased their Facebook time this past year; 34% between the ages of 30-49; and 42% for those 18-29 year’s old. Why are these majorities not using Facebook as much anymore, 21% say it’s because they don’t have the time. 10% of respondents said they weren’t interested in the site any longer while another 10% said that it lacks “compelling content.” 9% said that it was too full of drama and gossip from their friends and 8% of the people were worried that they were addicted to Facebook. 59% of responders said that the sharing thoughts and pictures on Facebook is still as important to them as it was a year ago while 28% said that it wasn’t anymore. 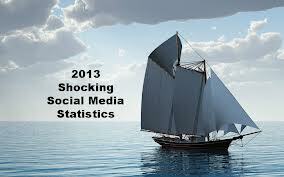 The most recent PEW research statistics found some shocking answers about Facebook users! I wonder what the future implications for Facebook will be in light of these recent findings. Is Facebook’s reign coming to an end? Are other social media sites becoming more popular than Facebook? Or do people just not have the time to spend using these sites any longer? Let us know what you think. 🙂 We would love to hear from you! Traveling Alone? 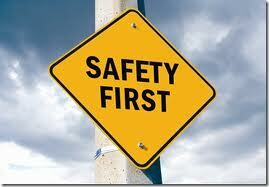 Take These 6 Safety Precautions. If you have ever traveled alone or are planning on going soon, there are many rewards like the opportunity to experience everything that you wish to and to meet new people, but there are also precautions that need to be taken. In the March 2013 addition of “Healthcare Traveler” there was an article published called “Safety Measures for the Solo Traveler” meant to advise single healthcare travelers on some safety measures they should take. But, these tips should be used for anyone traveling alone. Be sure to use caution whenever you are traveling alone and be smart about what you share! Tell a family member or friend your travel plans. Be sure you give all the details of your travel plans with someone back home that you trust including your new address and phone number of where you will be staying. Leave them with your travel itinerary too and check in with them regularly to let them know you are safe. If you have your security settings on Facebook set to friends and family only, then posting status updates might also be a good way to let others know of your whereabouts in case anything happens. Double check your cell-phone company’s coverage in the new area. Be sure that your cell phone will work well in the new area you are going to – sometimes cellular providers do not have superior coverage in other areas as they might where you currently live. Go to their website and check the map of coverage. Get to your destination while it is still light out. You will be able to find your way around much easier in unfamiliar territory if you can see by the light of day. Have a GPS App on your phone (if you don’t already). Get one that will show you walking routes as well. It is also a good idea to map the surrounding areas of the place you are staying prior to getting there to determine any possible bad areas that you want to avoid. Don’t share too much personal information to new people you meet. Meeting new friends is great but be leery to give them any information about where you are staying or the fact that you are traveling alone as you never know who you might be talking to these days. Be careful if you decide to drink. If you are a drinker, don’t leave your drink unattended and don’t drink too much especially when you are first meeting new people. You want to remain in the right state of mind in case anything happens. Everyone should experience traveling alone at least once in their lives. Just be sure to follow these travel safety tips. The majority of the time traveling alone is a very rewarding experience and nothing bad happens. But, just be smart whenever you are traveling to a new place – alone or otherwise – but especially when you are on your own. Everyone’s travel style should be comfortable for them. 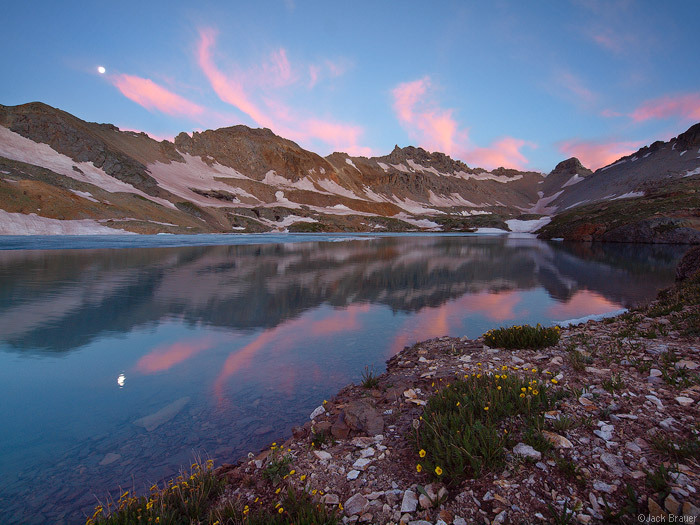 Not everyone is going to enjoy backpacking while some might not enjoy luxury hotels. It’s all a matter of preference. Everyone has a unique travel style that fits them. Some prefer roughing it with a backpack and no real agenda while others prefer the life of luxury and seek elegance in their travels too. Don’t worry about what others might think about your preferences as these can potentially change as you get older or with different circumstances. 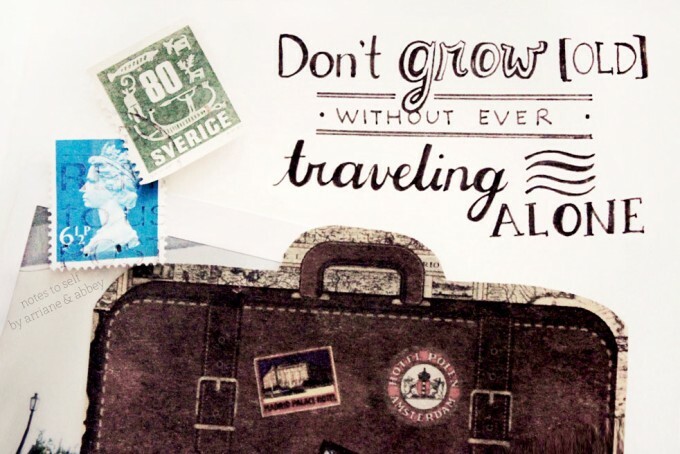 The bottom line is, have fun no matter what kind of traveler you are! 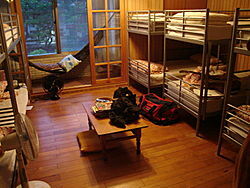 Staying in a Hostel provides an inexpensive and traveler friendly experience for those on a budget. You can also meet lots of other travelers as well. Hostel’s are convenient and cheap alternatives for travelers on a budget. These are a great way to meet others if you are venturing alone. In some countries, you can even work the front desk for free accommodations. Technology allows us to book everything related to travel and tourism these days and also keeps us connected to the ones we love. Technology means we are never really alone anymore. 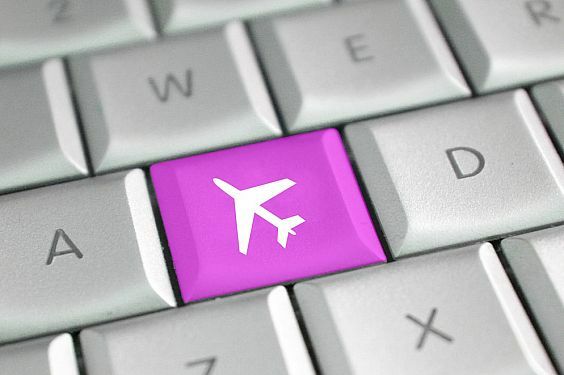 Technology has allowed us to book everything from flights, accommodations, rental cars, tour operators, etc. all online. We can also instantly connect with our friends and family using social media and applications such as Skype even if we are across the world! 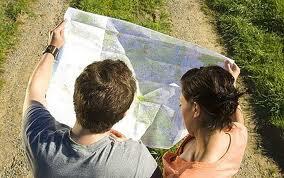 Being able to read a map the old fashioned way will come in handy still in all of life’s journeys. Still Being able to read an old-fashioned map will come in handy. Yes technology has allowed for online mapping systems and GPS that can pin-point our exact location but sometimes they don’t do the trick. Map-reading is a great skill to still embody, especially when there is no internet access. Being lost in a new place will open up even more possibilities. Just make sure you are safe and go explore. 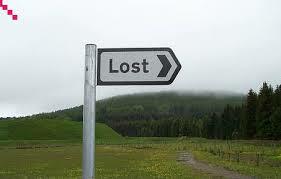 If you happen to still get lost along the way, be sure to relish in the experience (as long as you are still safe). Getting lost in a new place can allow you to interact with the locals, find hidden treasures, and get off of the beaten tourist path so get lost often. Traveling With Pets? Be Sure To Pack These Items. Be sure your pet’s carrier is approved by the airline and will fasten securely for the duration of your travels. Pet Carrier. Be sure your carrier is sturdy and that the door will stay shut for the duration of your trip. If you are planning on taking a plane, be sure to contact the airline your are flying with for specific pet carrier guidelines. 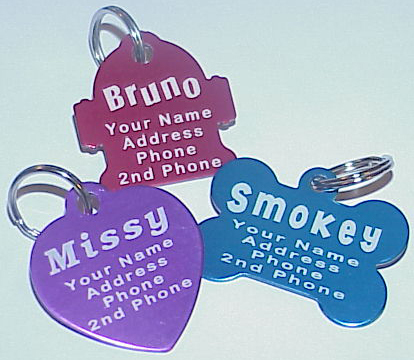 Be sure all of your pets have a secure collar with ID tags with their name and your contact information. ID Tags. Be sure your pet(s) have an identification tag on their collar with your pet’s name and your local contact information. You should also have a specific travel tag with your out-of-town contact information (if different). It is also wise to have your pet’s rabies tags on the collar as well. Make sure your pet’s collar is secure and will not fall off during your journey. Buckle your dog up whenever you are driving. There are different forms of seat-belt harnesses for all different sizes and mobility. Seat-Belt Harnesses. When traveling by car, you should always buckle up and your pets should be buckled too. 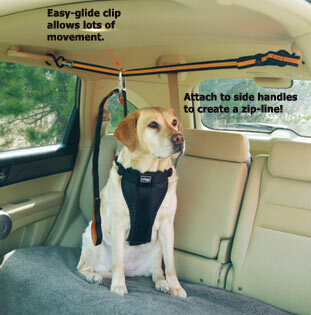 There are specific seat-belt harnesses that are made for dogs so they can be strapped in while on the move in the car. If you are driving with your cat, be sure to have them in a carrying case and secure the case so that it is not moving around all over in the seat. Your pets need to stay hydrated while traveling. 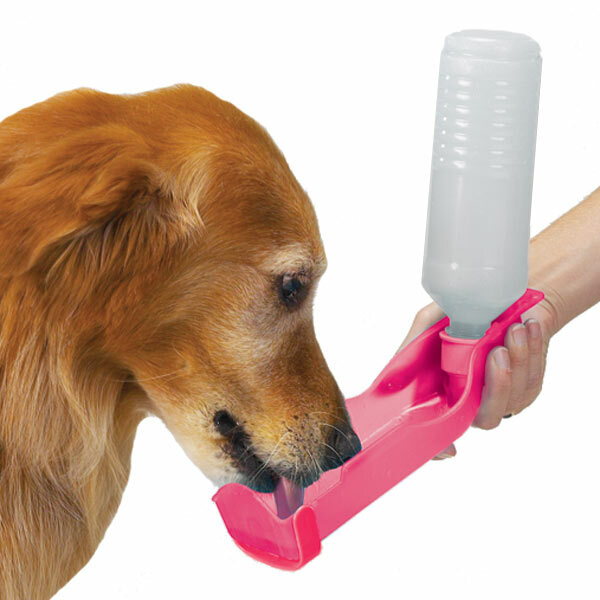 Portable water dispensers can be purchased to alleviate spills from happening and will keep your pets hydrated. Water/Food Holder. Travel water dispensers can be purchased which will control any spillage from occurring. Your pets need to stay hydrated just as much as you do so be sure to give them enough water – as much as you would when you are at home – during your trip. Fold-able travel bowls can be purchased and many can be used for both food and water, just be sure to read the label. You never know when an emergency might happen so be prepared with a first aid kit for your pets. First-Aid Kit. 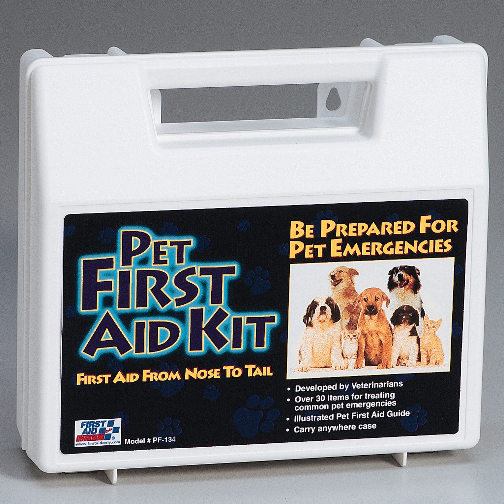 You can purchase pet first aid kits at any pet supply store or you can make your own. Be sure to include: gauze (both pads and rolls), cotton swabs, instant cold pack, roll of cloth, tweezers, thermometer, hydrogen peroxide, and antibiotic ointment. You can also include bottled water, plastic gloves, small scissors (if you are traveling by car or checking it in your bag), mild pet sedatives, and an eyedropper (for feeding). If your pet has suffered a serious injury or sickness, be sure to locate your nearest vet before administering care yourself. Be sure to bring along a familiar toy for your pet(s) to play with while traveling. Toys. Be sure to bring along some item that will allow your pet to play while confined in a small space and will also smell familiar which will make them more comfortable. 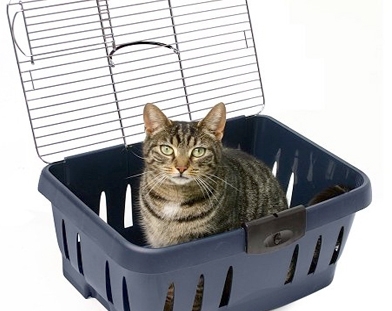 When traveling with your kitty, be sure to pack a portable litter box and get them acclimated to it before your trip. Portable Litter Box. When traveling with your feline friends, be sure to bring along a portable toilet for them to use. This method is safer than letting your kitty out of the car as they might run away. 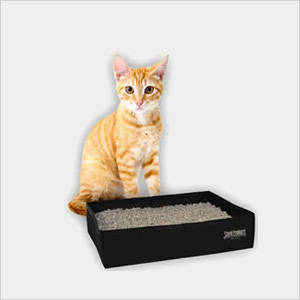 There are portable litter trays that fold up for easier storage and can be thrown away once your cat has finished. Be sure to get your cat accustomed to the new litter box a couple weeks before your trip so they can get used to the difference. Dogs can easily be put onto a leash and taken outside during a long car ride. To protect your car seats from hair and wear and tear, look into purchasing a removable seat cover. Seat Covers. 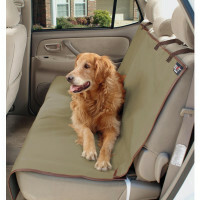 For long car rides you will want to invest in a seat cover that can easily be removed once your pet is out of the car to protect your car seats. These can be purchased in a variety of sizes, colors, textures, and prices. For long trips with your pets, consider getting them fitted with a microchip in case they get lost. Microchips. It might be a good idea to get your pets fitted with tiny microchips that will track them in case they get lost. 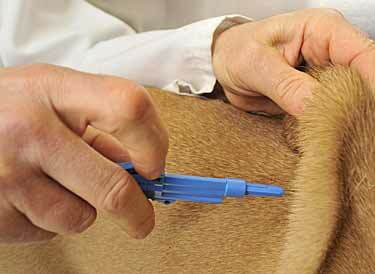 These can be done mostly by a small hypodermic needle into your pets and they usually cost less than $50. 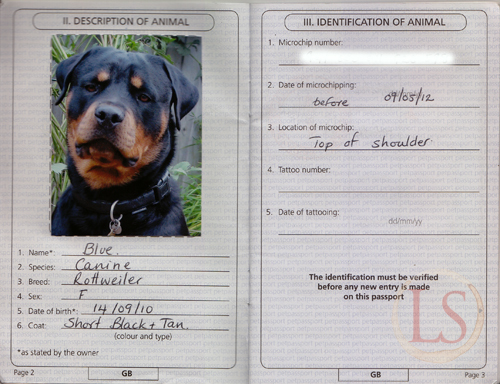 Traveling abroad may require you to have a pet passport. Check the US Embassy in the country you are traveling to for more information. Pet Passport. A pet passport are documents from your vet that say your pet is healthy and that they are current on their shots. This might not be necessary if you are driving across the US but if you are traveling abroad, it might be. 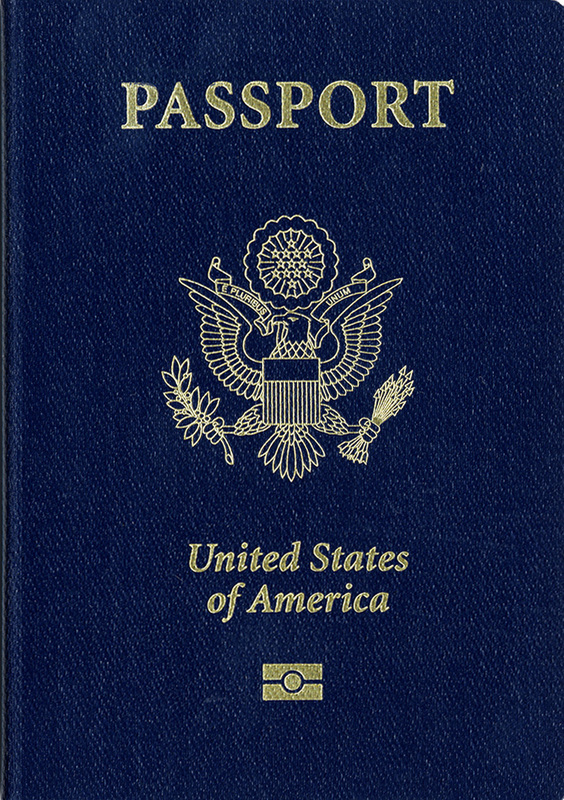 The European Union requires pet passports by law. Double check with the US Embassy of the country you are traveling too to find out what the pet import rules are before your trip. Traveling with your pets can be a challenge at times but if you are prepared, it will make your vacation that much more memorable with your furry friends. 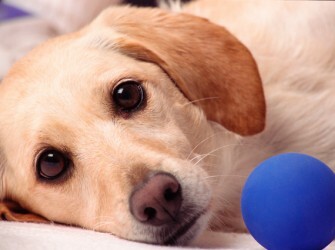 For more information about all things pet, consult Animal Planet’s Pet Blog. On Friday, we explored 5 tips inspired by our young travel blogger, Amanda who has her own blog, A Dangerous Business, and one post in particular “26 Things Travel Has Taught Me.” This week, we are going to explore 5 more tips influenced from Amanda’s wisdom about life and travel. Get to know a person and a culture before you make any false judgments! Get to know a culture before you make false judgements. Again, keeping an open-mind in life and on your travels will allow you to get to know a culture and its customs before coming to any conclusions that might be in your mind from stereo-types or what you may have heard from others. The world is a vast place filled with adventure around every corner – so let’s go explore it! 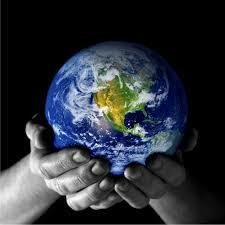 The world might not be so small after-all. Our world is filled with awe-inspiring sights and people ready and waiting for us to come experience them! So many places, so little time. Going back to a place you have already been is perfectly alright. Afterall, there is no guarantee that it will look the same. Going back to one place repeatedly is not a bad thing. There are always going to be places that we have visited in the past that will keep calling us back and it’s perfectly alright to keep returning. Just be sure to experience some other places too along the way so you don’t miss a thing! 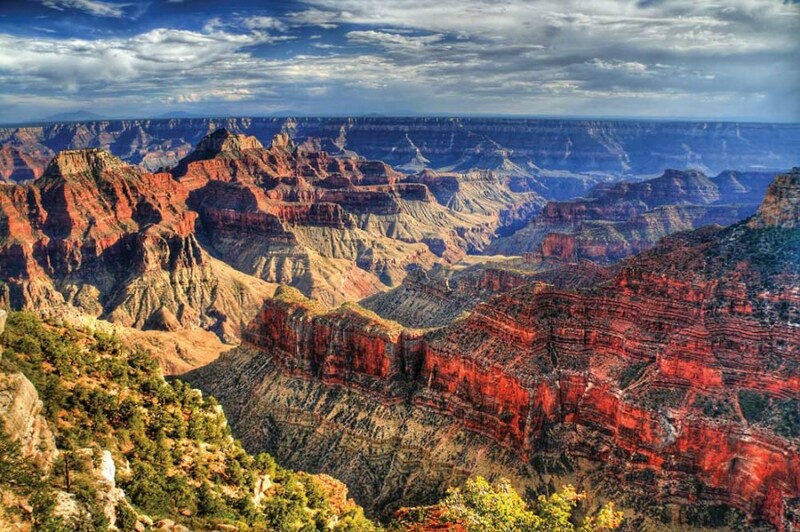 The Grand Canyon is just one example of the awesome wonders that the US has to offer. If you haven’t experienced this in person, I would highly recommend going! Trying new foods when you are in a new place is just part of the experience but it’s okay if you don’t want to! Try to experience the local culture as much as you can. 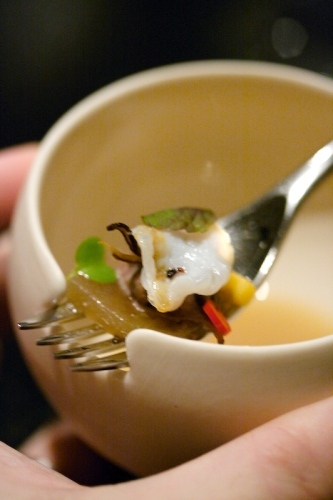 It’s okay if you aren’t an adventurous eater or if you don’t drink alcohol. Most people will not judge you for not trying something. So just be you but try to experience new and different things whenever possible. Every week, 5 tips will be revealed. Hopefully, these will inspire everyone that has traveled a lot to take a look back at each trip with new eyes. 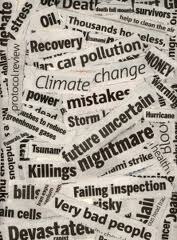 We can’t always believe the negative representations that the media provides. 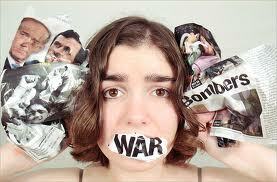 The Media portrays the world to be a much scarier place than in reality. Sure, traveling abroad anywhere is going to be a bit scary because it is out of your comfort zone. Just be sure to be smart about your journey and everything should be fine. Most countries today have had a negative past but that shouldn’t dictate its present or future. Give all countries a chance! Just because a country might have a poor past doesn’t mean that it isn’t different today. Pretty much every single country in existence today has suffered from war, terrorism, communism, etc. but that doesn’t determine the present day in that country. Don’t make a decision not to go somewhere because of a place’s past. People can change and so can a destination. Even though we might look different, dress different, talk different, and believe different things, people are all people in their cores and all need and want the same things: happiness, health, and well-being for themselves and the ones they love. People all over are more alike than one might assume. You can’t always judge a book by it’s cover and you shouldn’t judge a person just because they look different, speak different, have a different culture because at the end of the day, we are all people and we are all searching for the same things. Happiness, prosperity, health, and love. So keep this in mind whenever you may have a different thought about someone else. Being a US Citizen is an amazing blessing! We get to travel to most countries and people do love American’s – they might just not love our government. Being an American is a truly amazing blessing! We, as Americans, have the opportunity and privilege to travel pretty much anywhere we desire. Despite what is floating around, most countries love Americans too even if they might not agree with our government, they love the people and love getting to know more about us and our culture as well. 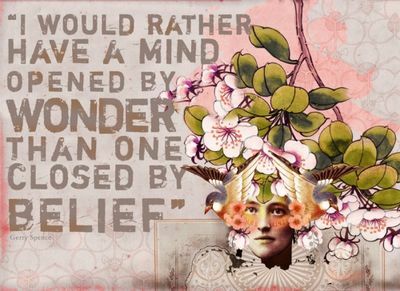 This quote says it all – live your life with an open-mind and doors will be opened to you! Stay tuned next week for 5 more tips. Have a happy and healthy weekend and safe travels everyone! 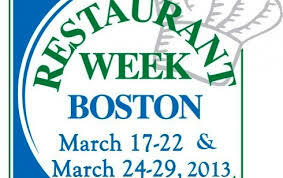 Don’t miss these fabulous deals at some amazing Bostonian restaurants this week only during Restaurant Week! 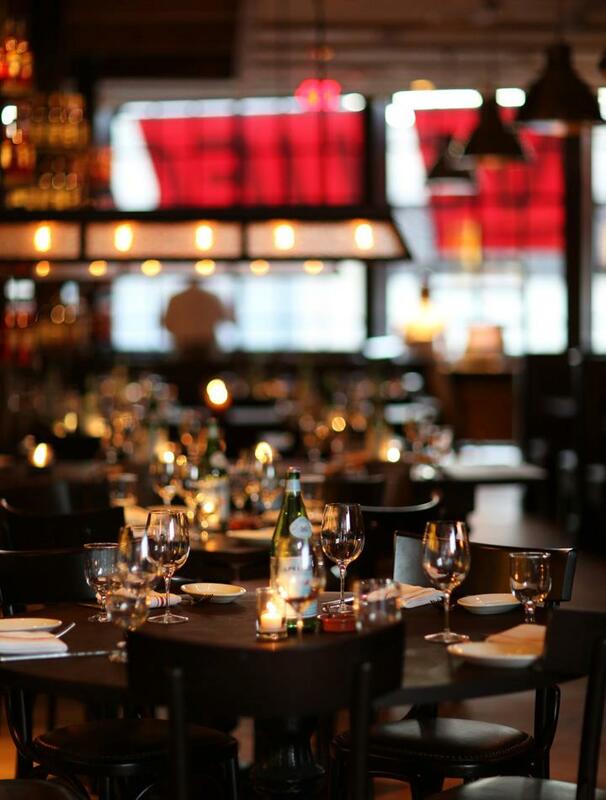 If you are a native or a visitor to Boston and surrounding suburbs and cities, then be sure to try a new or favorite restaurant for $38.13 for a 3-course dinner. Lunches are included in restaurant week too for 2-courses, pay only $15.13 and 3-courses, $20.13. All prices are for a price-fixed menu and exclude drinks, tax, and tip. 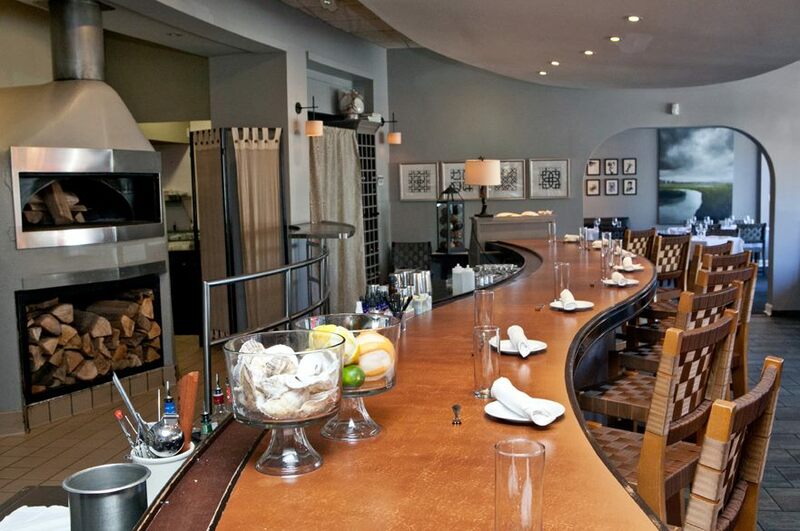 Lineage: One of the participating restaurants for Restaurant Week Boston. For a list of all participating restaurants, click here. Every year a local charity is selected as a partner. 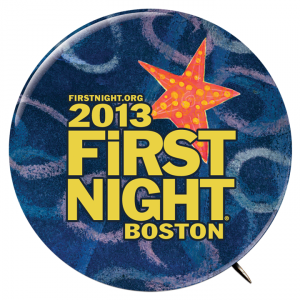 This year, the Greater Boston Convention and Visitors Bureau and American Express are donating $5,000 to First Night, Inc.
which is dedicated to building community and diversity through the arts. All participating restaurants are donating $100 gift certificates to First Night’s Fund Raising Auction that started March 18th-April 4th. To support First Night, click on the link to see all auction items and place your bid today before it’s too late! Business Travelers: Travel Insurance is a Must Have for all Business Trips! You wouldn’t want to drive without auto insurance or have a house without home owner’s insurance so why would you ever want to travel without insurance either? Travel Insurance is so important especially when traveling oversees but can come in handy for any trip. Even if your company pays for your health insurance, there is a very good chance that you won’t have any coverage oversees and in some cases, you might not have any across states depending on your plan. 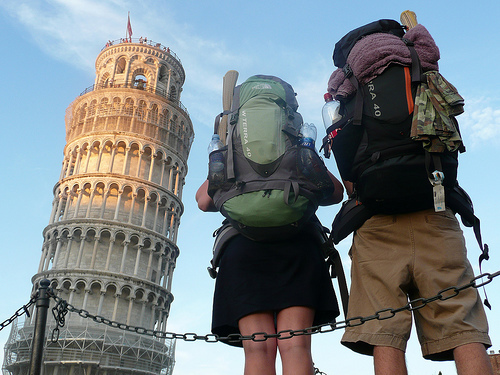 Travel insurance will cover the cost of injuries, illnesses, accidents, cancellations, etc. Travel Insurance covers for all of this and much more! Don’t travel anywhere without it! Nomadic Matt is a travel blogger that has been traveling all over the world since 2006. He gives sound travel advice and recently wrote all about Travel Insurance which is where we get our inspiration and information for today’s post. Find a plan with a high coverage limit to take care of all medical expenses. Most will cover up to $100,000 USD but paying higher premiums will up the coverage amount. Find a plan that will take care of all of your potential health costs so that you won’t have to pay out of pocket. Be sure to find a plan that covers emergency evacuation – for both natural disasters and health related injuries/illnesses. The coverage for this is generally $300,000 USD. 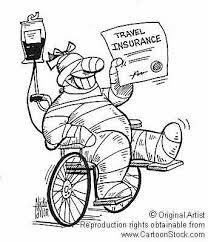 Remember that Travel Insurance is not a health insurance substitute but is for any accidents that might happen while you are abroad. Recklessness – this is defined by the particular insurance company so be sure to clarify what your company’s definition is. Have all of your receipts and documentation for everything you need reimbursement for. If you have a police report, be sure to include this as well. Be prepared to wait for reimbursement but if you have given the company everything they need to file the claim, chances are you will get your money back much sooner. www.insuremytrip.com provides plan comparisons from multiple insurance companies all on one site. With any decision, research is key to find the company that will fit your specific needs. Be sure to consider all of the above when narrowing down the right company. We hope that from now on, Travel Insurance is always another business expense whenever you are traveling and wish safe journeys to all! Don’t travel without Insurance or else you would be paying out of pocket for this! Don’t Miss Dallas’ BIG Celebration at Victory Park on March 27th! If you are going to be in Dallas, TX on Wednesday, March 27, 2013 then don’t miss this free event hosted by VisitDallas.com. The festivities include live music, free give-aways, food, drinks, and fun for the whole family! The performers are DJ Michael Jerome, Professor D, and Vocal Trash. Time: 4:00pm-8:00pm; Location: AT&T Plaza in Victory Park; Date: March 27, 2013. Schedule: 4:00-4:30 DJ Michael Jerome; 4:30-5:30 Vocal Trash; 5:30-6:00 DJ Michael Jerome; 6-6:15 Mayoral Presentation; 6:15-7:10 Professor D; 7:10-7:20 DJ Michael Jerome; 7:20-8:00 Professor D.
Come Celebrate why you Love Dallas.